Participating in the Australia Post Graduate Assessment Day was a huge learning experience for Christina Auckland, which resulted in her successfully securing her place in the Australia Post Graduate Program for 2020! We caught up with Christina to find out more about her Grad Program Assessment experience before she begins the 2020 Australia Post Graduate Program next year. So Christina, start by telling us a bit about yourself and your interests. 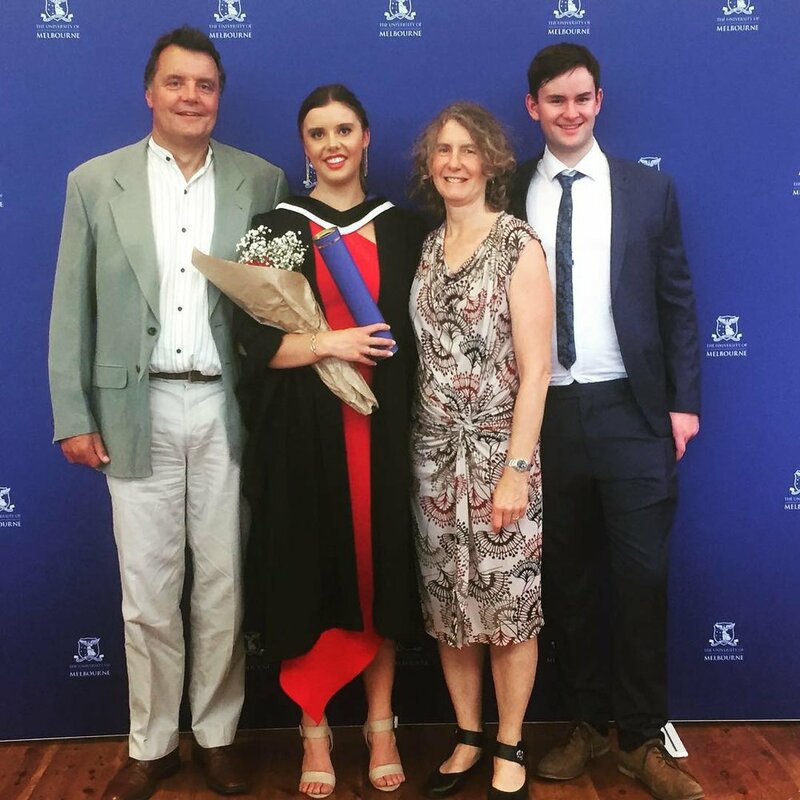 I’m originally from Tasmania, and moved to Melbourne 3 years ago to study a Bachelor of Arts, with a double major in Psychology and Criminology at the University of Melbourne. While studying, I lived at St Hilda’s Residential College. I’m a big fan of sports! I grew up at the beach so I love all water sports - especially kayaking, swimming and surfing. I also play tennis and enjoy doing yoga, you could say I keep myself busy outside of my studies! Family is really important to me so whenever I can, I love to go back to Tasmania to spend time with them at our family beach house in Hawley. How did you end up hearing about the Australia Post Graduate Program? I heard about the Australia Post Graduate Program through the University of Melbourne careers page, where I saw the opportunity for ‘Australia Post Graduate Program Assessment Day’ hosted by Paddl Co. I completed my Paddl Profile, and then filled out a short, online application on the Paddl platform. Then I did a phone interview, followed by the actual in-person assessment. Have you always considered a graduate role important to your career journey? Did that opinion change when applying through Paddl? I have always wanted to be part of a graduate program, I think they provide great training and breadth of experience for new graduates. Getting the opportunity to work with a mentor and complete rotations in three different departments of the company is really valuable professional experience in my opinion. The Paddl recruitment process was so easy and highly beneficial - it encouraged me to think about what I really want from my career. I was able to use the critical thinking skills I had developed at uni in a more applied context during the Assessment Day Challenge, which was great. We first met you at the Australia Post Graduate Program Assessment Day. How would you describe the day, and your overall application through Paddl? Has it differed from any other experiences you've had? I found the Australia Post Graduate Assessment Day hosted by Paddl Co. challenging but also very exciting! We worked on an innovation initiative in teams alongside Australia Post employees, and at the end of the day everyone was given the opportunity to pitch their solution to the other program applicants as well as the team of Australia Post Assessors. It was a huge confidence boost having the Australia Post assessors sit on the tables with the applicants to give us guidance and advice during the day - this is something I haven't seen before at any other assessment centres I have been to. I really loved working as part of a team and doing something practical rather than the traditional one-on-one interview! In terms of the written application, I completed my Paddl Explorer Profile and completed a cover note about why I would like the position. I think writing the short-form style application was much more useful than a traditional resume as it gave me the opportunity to elaborate on the professional experiences I have had and how they are specifically relevant to the program I was applying for. We’re so excited you've landed a role in the Australia Post Graduate Program! What have you been up to since then? When does the Grad program kick off? I will commence the graduate program in 2020! This year I’m completing my honours in Psychological Sciences at the Australian Catholic University in Melbourne, while continuing to work part-time as a PA to the director of Moonee Ponds Clinical Psychology. What do you think prepared you most for the world of work? Do you have any advice for emerging talent looking to land their dream role? I think what prepared me the most for this sort of assessment experience was extensively researching the organisation you are applying for, and thinking about how you can write your application to align with the company's values. Do they align with what you believe in? This is always important to discover beforehand. On Assessment Day, try to be as confident and friendly as you can. Don't be nervous to put your opinion forward, but also listen carefully to others! If you want to be the first to know about upcoming Graduate Assessments, job opportunities, Paddl Games Challenges, amazing volunteer experiences or more to help you get ahead in your career, join Paddl today! You can also join our ‘Student & Graduate Opportunities’ Facebook Group, where a community of like-minded people come together to keep up to date on awesome opportunities, organisations and job sectors, and to support each other as they kick off their career journeys! By Paddl Co. © Paddl Co.